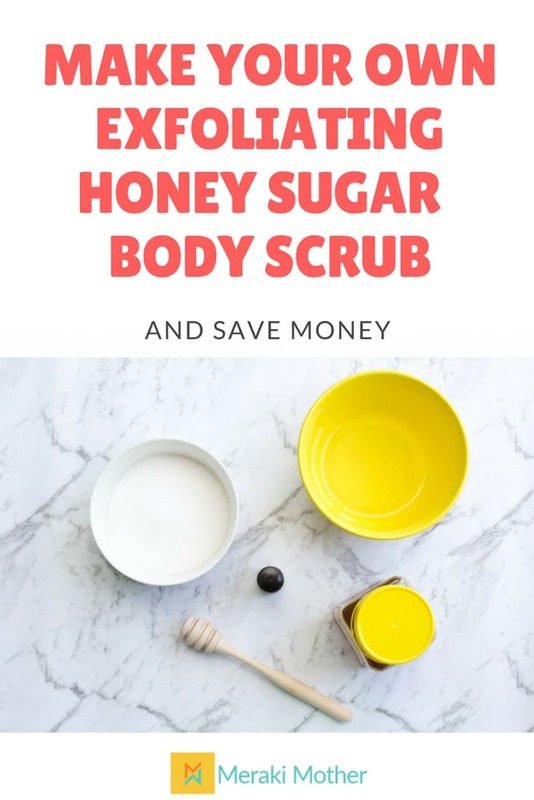 Ditch all the nasties that can be found in a lot of store-bought beauty treatments and create your own easy homemade body scrub with simple and natural ingredients. This DIY project will take you only about 5 minutes and can make the best mason jar gift for a special someone in your life. 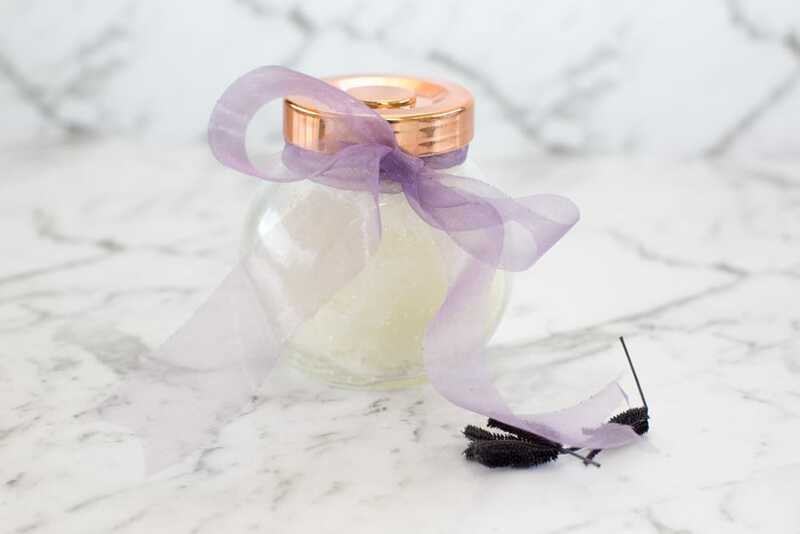 Find our step by step instructions to create this cheap and easy homemade body scrub. Our Honey Sugar Scrub has lots of great natural benefits. 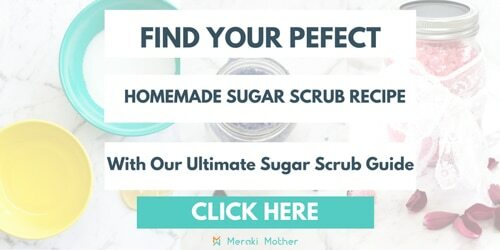 Sugar’s small particles are excellent exfoliant, and are used in a number of body scrubs to exfoliate dead skins cells to reveal the glowing skin underneath. Sugar presents also natural humectants properties, meaning that it hydrates the skin by drawing moisture from the environment into the skin. The glycolic acid naturally found in sugar encourages cell turnover making your skin look younger and fresher. Honey not only has lots of goodness and vitamins but also has antiseptic properties. 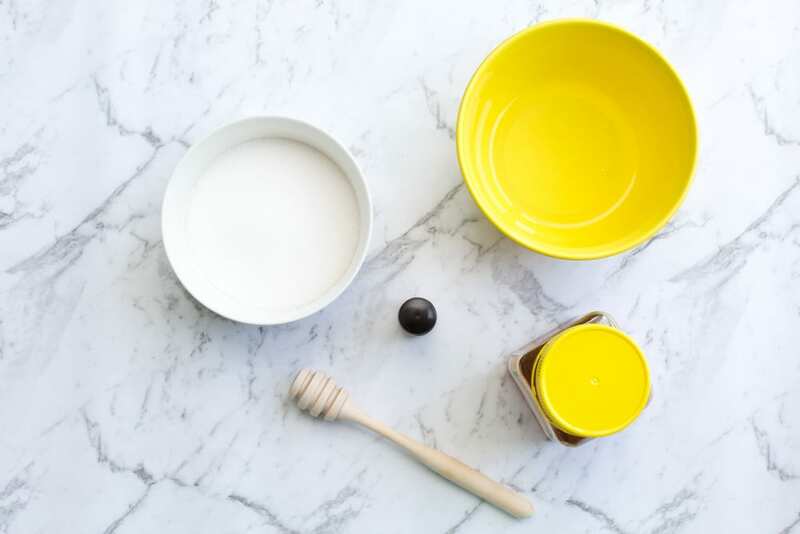 We promise your skin will feel amazing after this DIY spa treatment. Optional 10 drops of Lavender essential oil. Mix some of the sugar and all of the oil in a bowl. We used white sugar here but raw or brown sugar can be used too. Add the honey and lavender essential oil while stirring the mixture. 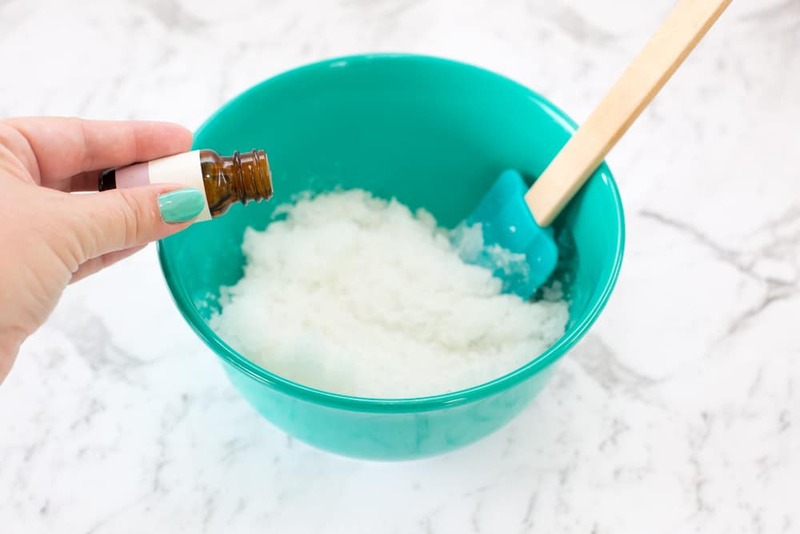 For our sugar scrub recipe, we found about 10 drops but this will vary, depending on the quality of oil you use and the type of oil. Add the rest of your sugar until it is the consistency you want. Put your sugar scrub into a container. We love to put ours in mason jars to give as gifts but if it’s for yourself even an airtight Tupperware container will do.